Bid4Keywords.com is part of the extensive AdMedia network. Our contextualized algorithm ensures relevance as we propel ads across our various product channels, including search, display, email, retargeting, and mobile platforms. With over 5,000 publishers and 200 million daily searches, we deliver quality traffic at affordable prices. Connect with consumers on a CPC or CPA basis to maximize your ROI. 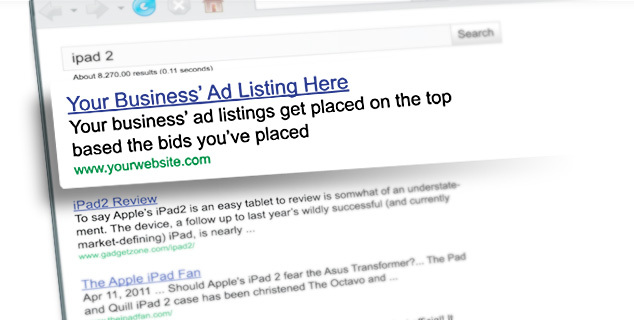 Bids start at just 5 cents per click! Tech and customer care specialists ready to assist!